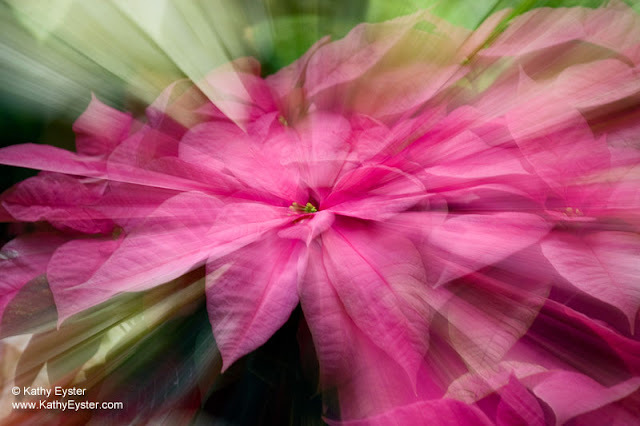 When you decide to photograph flowers, whether in a floral shop or your garden, try experimenting with creative techniques such as zooming the lens during a long exposure. It helps to have your camera on a tripod and use a shutter speed of about 1 second to give you enough time to zoom through the lens' entire range. Join me for Photographing Missoula's Flower Gardens June 14-21, 2018. All cameras are welcome. Click here to register online.